With a history that dates from the beginning of the time, religion has played a significant role in making the culturally rich heritage that it is today. The cultural and religious diversity in India is evident from the number of religions and faiths followed by people which make India what it is. The hundreds of temples spread across the length and breadth of India, many of which are centuries old, are not only religiously significant, but also brilliant examples of architecture. Here are some of the South India Temple towns that are no less an architectural wonders from the South of Vindhyas. 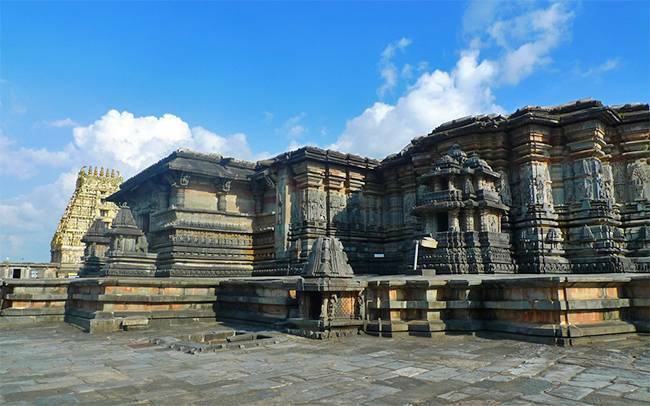 Early capitals of the 12th century Hoysala Empire, which ruled most of modern day Karnataka, Belur is also known as South Banaras for its temples. Halebidu, literally “old city”, which was previously called Dwarasamudra (gateway to the seas) is home to one of the best examples of Hoysala architecture in the Hoysaleswara and Kedareswara temples. Dating back to the 1121 AD, the temple complex is a treasure of sculptural detail. 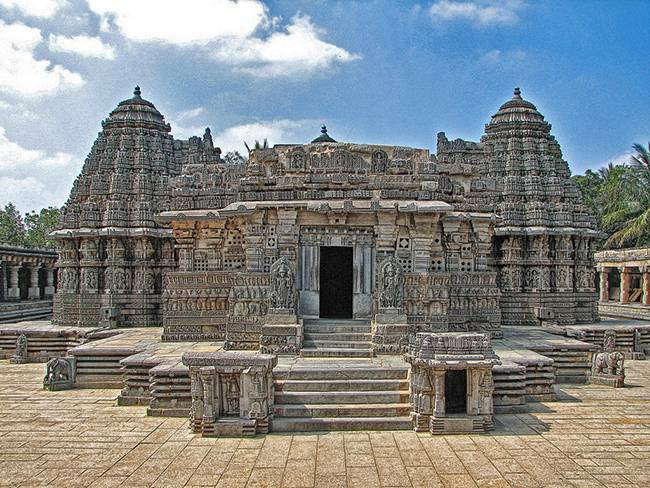 Belur also has the famous Chennakesava temple complex, which is another fine example of Hoysala architecture. The intricate pillars and sculptures within the temple complex are mesmerizing. According to legends, it took over 100 years to complete this 1117 AD temple. These temples are being proposed as UNESCO world heritage sites. Sometimes, the ruins tell you the tale of how strong the foundation was. Located in the ruins of Vijayanagara, the former capital of Vijayanagara Empire, Hampi ruins are a UNESCO world heritage site. 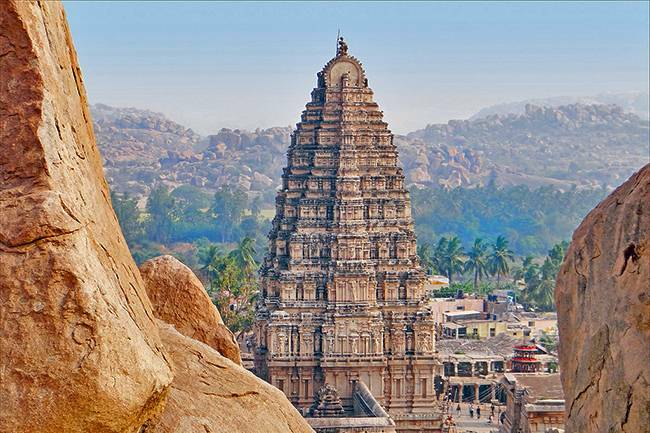 Situated on the banks of the river Tungabhadra, the ruins at Hampi and the hundreds of boulders surrounding it will tell you about the rich and vibrant history of the magnificent Vijayanagara Empire. Do check out the Hampi Utsav, a cultural extravaganza of dance and music, which is held every year during first week of November. The kingdom of Thanjavur rose to prominence during the reign of Chola dynasty and the temple is one of the most remarkable pieces of Dravidian history. 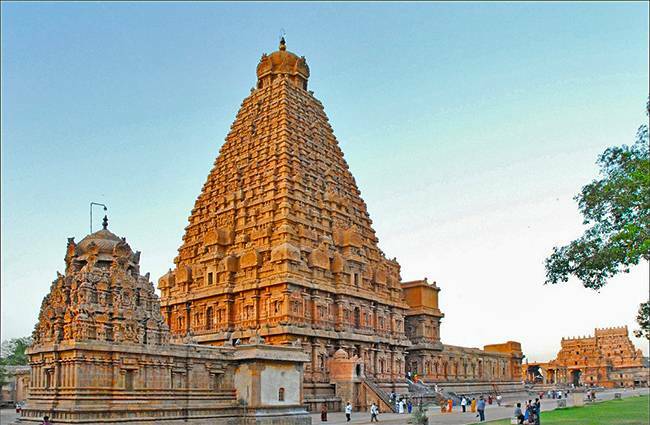 The construction of the Brihadeeswarar Temple, dedicated to Lord Shiva, is considered a landmark in evolution of building art in the South India. The magnificent structure, which is covered with the paintings from the Chola and Nayak periods, is also a designated UNESCO World Heritage Site. 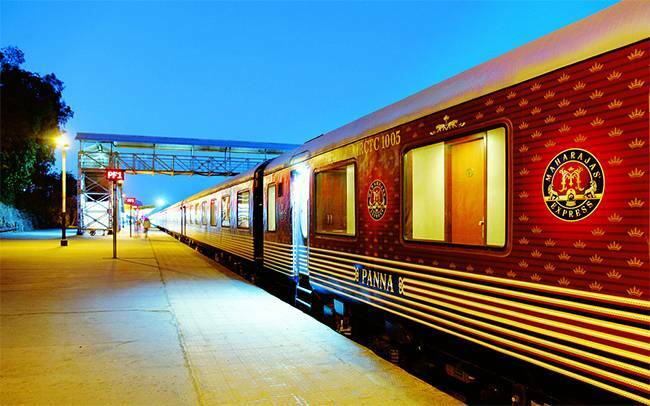 Do visit the Thanjavur Royal Palace and the museum to live like royalty for a few moments. Historically, a centre of education, Kanchipuram was also a religious centre of advanced education for Jainsim and Buddhism between the 1st and the 5th centuries. According to Hindusim, Kanchipuram is one of the seven Indian cities to reach final attainment and is a holy pilgrimage site for both, Shaivites and Vaishnavites. 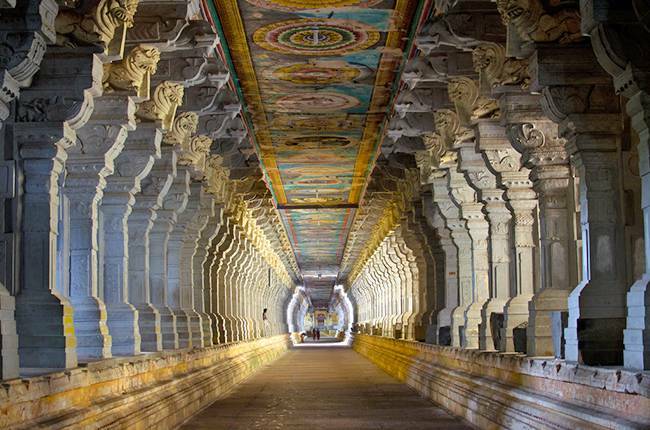 Of the 108 holy temples of Lord Vishnu, 14 are located in Kanchipuram. 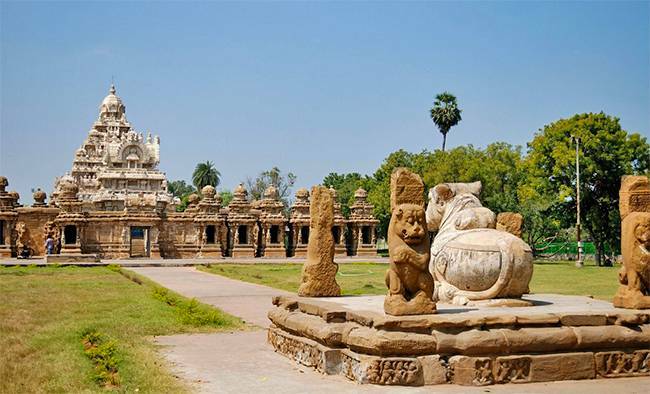 With temples like Sri Ekambeswara Temple, Sri Kailasanathar Temple, Sri Vardaraja Perumal Temple, etc., Kanchipuram is also known as a city of thousand temples which reflect the glorious traditions of South India. Situated 572 km away from Chennai, Rameshwaram, along with Varanasi, it is considered one of the holiest places for Hindus in India. According to the Hindu epic Ramayana, Rama, the seventh avatar of Vishnu, prayed here to Lord Shiva to absolve him of any sins he might have committed during his war against the demon-king Ravana in Sri Lanka. 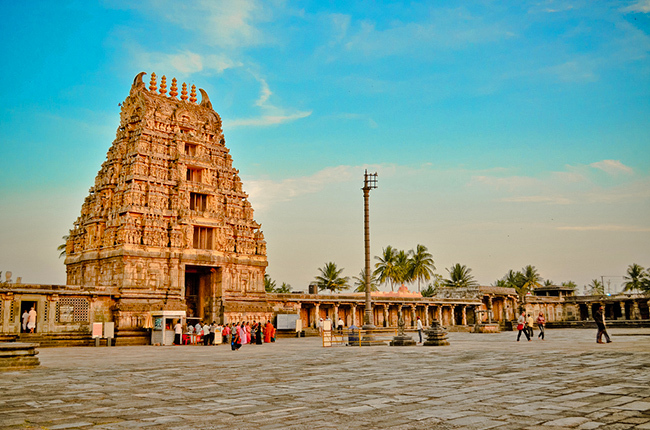 Located in the centre of the town, the Ramanathanswamy temple is the most notable historic landmark in the town. Dedicated to Lord Shiva, this is also one of the twelve Jyotirlinga shrines. According to Hindu mythology, if one visits Rameshwaram and prays to Lord Shiva, one will be relieved of all the sins. The Ramanathanswamy temple is known for the magnificent corridor of thousand pillars and beautifully sculpted pillars. Situated at the Kaveri delta, Tiruchirappalli boasts of exquisite temples and fortresses built by the Chola dynasty. Most temples, like the Ranganathanswamy Temple and the Jambukeswarar Temple, are built in the Dravidian style of architecture. 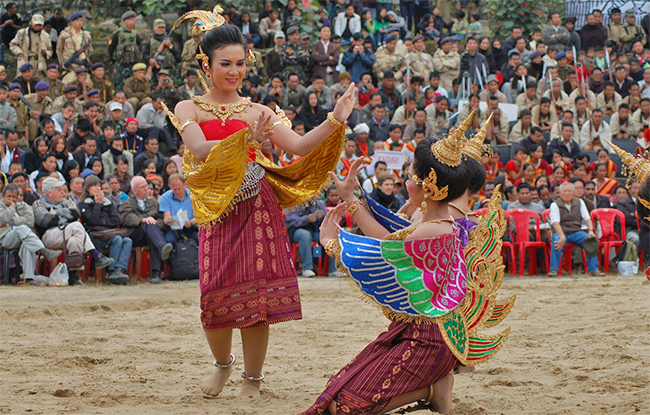 This current day bustling, noisy city was a capital of the Cholas in the early 3rd century BC. The Ranganathanswamy Temple complex with 49 shrines, all dedicated to Lord Vishnu, is so huge that it is like a city within itself. Perched 83 m high on a massive outcrop with rock cut cave temples, the Rockfort temple, is also a fine example of Dravidian architecture. Originally built by the Pallavas, the Rockfort fortress is listed as a monument of national importance by the Archeological Survey of India. 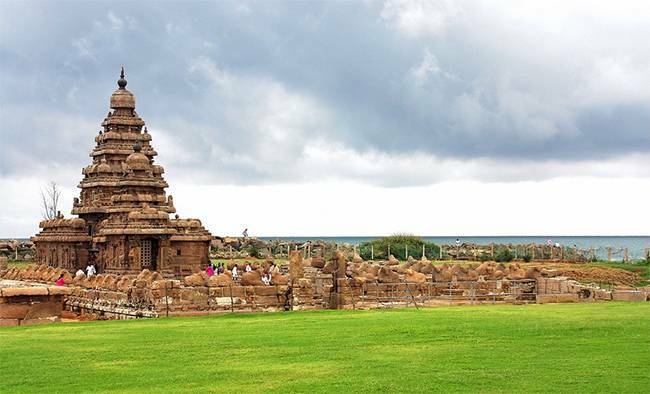 Located around 60 km south of Chennai in Tamil Nadu, Mahabalipuram is the ancient historic town which was a bustling port during the times of Periplus and Ptolemy in 1 BC and 140 BC respectively. According to the legends, Lord Shiva killed the demon king Mahabali here. The temple is a fine example of Dravidian architecture with a huge influence of Buddhist elements of design. The Shore Temple, built in 700 AD, is the oldest structure in that area. Hire a bike and enjoy the country side or just relax on the sandy beach or take a fishing trip to the sea. Local artisans also teach stone carving. If you drive down from Chennai, the road runs parallel to the Bay of Bengal, making it a scenic drive. This ancient Vedic temple of Sri Venkateswara is located on the Tirupati Hill in Andhra Pradesh. Sri Venkateswara is the incarnation of Lord Vishnu and is also known as Balaji, Govinda and Srinivasa. The sanctum sanctorum houses the awe inspiring idol of the lord and is one of the most visited holy-places in the world. The temple has its origins in Vaishnavism, one of the main branches of Hinduism along with Shaivism, Smartism and Shaktism. Many devotees get their heads tonsured as an offering to the God. According to one of the legends, the Venkateswara idol in the temple shall remain here for the entire duration of Kali Yuga, the last of the four stages the world goes through according to Indian scriptures. The oldest city of Tamil Nadu, Madurai is one of the major settlements for two millennia and one of the oldest continuously inhabited cities in the world. 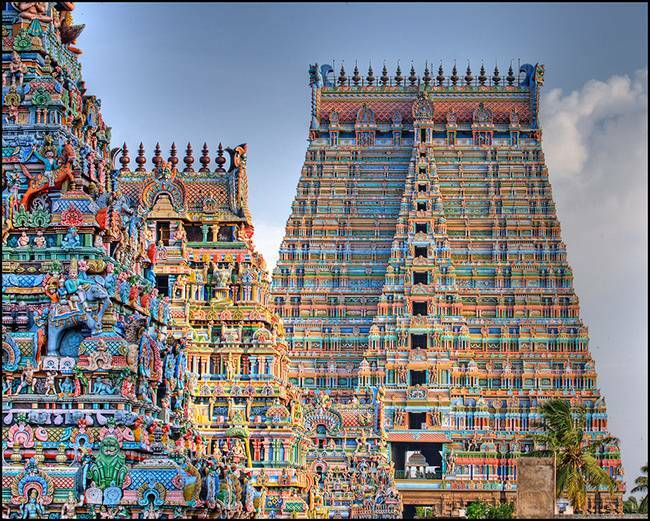 Madurai is built around the Meenakshi Amman Temple, a temple dedicated to Parvati, known as Meenakshi, and her consort, Shiva, named Sundareshwara. The temple, which is believed to be founded by Indra, is one of the brilliant examples of Dravidian architecture. Built in 1268 AD on the river Kaveri, Somnathpura temple complex dedicated to Lord Krishna, is situated about 40 km from the historic city of Mysore in Karnataka. It is considered to be the last major temple of the Hoysala dynasty, and is one of the best preserved monument of the Hoysala architecture as a protected heritage site by the Archeological Survey of India. The expertly carved panels with animals in various positions are a lesson in architecture.